Fiji is an ideal spot for first time SCUBA divers as well as experienced. The Wadigi Reef, Honeymoon Reef and Sunflower Reef are one of the most pristine, untouched and thriving reefs in the region and are a must visit. Tavarua Island is home to some of the best waves found in the region. With crystal clear waters and tall perfect wave’s, the waters here are an ideal spot for surfers. Water skiing and parasailing are popular among adrenaline junkies around Fiji. The year-round good weather and clear skies allow you to enjoy the sport to the uttermost on any given day. 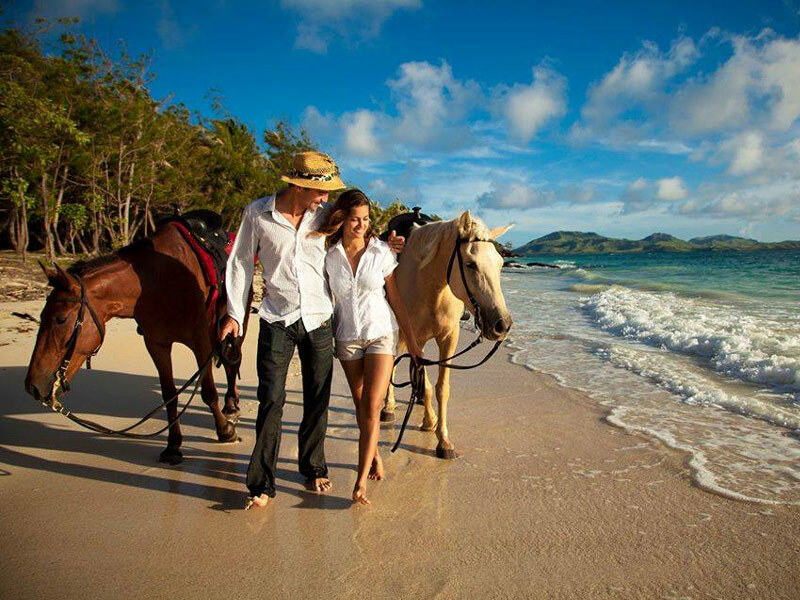 Fiji is located in water teaming with marine life and as such is a fishing hot spot. Some of the fishes which can be caught here are the Dogtooth Tuna, Black Mackerel, Indo-Pacific Sailfish and the Wahoo. Couples have the option to book this private island on rental knowing you will be treated like a king on your very own Island.